This section is for Corporate CEO's and Financial Markets Traders who want to understand how my completed theory of reflexivity can help them be more successful in their work. This section is for Studio Heads, Executive Producers, and Movie Investors who want to understand how my research into billion dollar grossing movies can help them create financially successful movies. This section is for Private Equity Investors, Hedge Funds and Investment Brokers who want to learn about how I have used my understanding to create a low risk high return movie financing opportunity. I have completed the theory of reflexivity developed by George Soros, the billionaire investor. I achieved this by discovering that all human misconceptions are predictable. This allows his theory of reflexivity to become a valid social science. This has been one of George Soros' greatest unachieved life goals. My discovery allows reflexivity to become a powerful tool for investing, for running companies and predicting human behaviour. My focus for my advanced understanding of reflexivity is to help global corporations create lasting self supporting positive reflexive business cycles. These cycles allow businesses to magically grow in size and profitability simply through their existing business structure. Following are upcoming books about the value of reflexivity that I will soon publish. This book links George Soros’ theory of reflexivity with my many years of research into human behaviour, and my understanding of billion dollar grossing movie profitability. I complete George Soros' theory of reflexivity by explaining how human misconceptions are predictable. That predictability elevates the theory of reflexivity to the status of a valid social science. This book shows how my completed version of George Soros’ theory of reflexivity explains the rapid success of upstart global businesses such as Apple, Tesla, AirAsia, Google, Amazon and Facebook. This book shows global CEO's how to create positive reflexive cycles that automatically give their company self supporting long term financial growth. This book explains the one simple rule of human behavior that Steve Jobs used to turn Apple Computers from almost being bankrupt into one of the largest companies in the world. Steve Jobs learned this simple rule from Steve Wozniak and this book reveals the fundamental significance of Steve Wozniak to the amazing success of Apple. I have spent 9 years conducting ground breaking research into the causes of movie popularity and profitability. I discovered that movie profitability is highly predictable. I found 1,300 common creative factors in 50 movies that grossed over $1 billion in the box office. The 1,300 creative factors that I have discovered affect a movie's profitability. When a movie has more than 90% of these 1,300 factors it earns over $1 billion in the box office. When a movie has more than 95% of these factors it earns over $2 billion in the box office. When a movie has more than 98% of these factors it earns over $3 billion in the box office. I keep most of my discoveries secret, as I derive value from being the only person in the world who knows my work. Some details of my work are given in the two documents below. Some are given in my book Doug Liman's Jason Bourne which is available on Amazon. More secrets will be revealed in my upcoming book Hollywood Billionaire. More secrets will be revealed in my future books on the James Bond and Star Wars movie franchises. The document below is a summary of why The Lone Ranger movie lost Disney a few hundred million dollars, despite having the same writers, producers, director, A-List star and studio marketing team as the first three Pirates of the Caribbean movies. I founded the Billion Dollar Movie Awards. These awards honour those people who have created movies that grossed over $1 billion in the box office. I give awards to the studio heads, writers, directors, producers and stars of all the billion dollar grossing movies released since James Cameron's movie Titanic. This book applies several of my discoveries to explaining the decline in profitability of the Jason Bourne movies. This book gives a good example of my research applied to a well known movie franchise. In this book I assess the emotional journey that Jason Bourne (and Aaron Cross) undertake during the five Bourne movies. This analysis shows a deterioration in the emotional journey of the movies, with a coinciding increase in big action scenes in these movies. I do an analysis of the logical journey in each of the five Bourne movies. This shows how they became progressively less logical, less realistic and less believable. I assess a movie trailer for each of the Bourne movies. These trailers highlight the deterioration of the emotional journey and the logical believability of the Bourne franchise. The following two documents are available for free. They are additional items intended specifically for this book. Their connection to the Bourne movies and my research is discussed in the book. This book explains how Hollywood producers and movie studios trick people into investing millions in loss making movies. It explains how to overcome this scenario and make a billion dollars investing in movies. It reveals more of the secrets of movie profitability. In this book I explain how to make a billion dollar fortune by investing in movies using a scientific movie investment process. This book explains the reality of investing in Hollywood movies, which is the facade of profitability that movie investors are presented by Hollywood producers. This book explains the reasons why the early James Bond movies were so financially successful. It reveals James Bond for who he really is, who is not the person most movie commentators and Bond fans believe him to be. The knowledge in this book would allow any experienced producer to create a new movie franchise as successful and enduring as the James Bond movies. This book is about the genius of the Star Wars movies by George Lucas. In this book I give away many of the secrets from my years of movie analysis work. This book is a must-have for anyone who wants to write or produce a billion dollar grossing movie. Star Wars is brilliantly written and directed. Its genius extends well beyond the story into the way the underlying themes and mystical structure are communicated to the audience. In this book I discuss in detail these themes and structures. I include a scene by scene analysis of Star Wars and give details of how this movie relates to my billion dollar movie creation model. Through this detailed analysis you will see the true genius of George Lucas. I have turned my movie profitability research into a low risk high return movie financing opportunity. This is a $16.9m budget teenage audience focused movie. Successful teen movies deliver a high return on investment from a low risk movie creation process. Skwad uses key story elements from the teenage focused movie Grease, which grossed $1.5 billion in the box office, in 2018 terms. The story structure of Grease is unique in that it combines three different parallel story lines into one movie. I have never seen this structure in other billion dollar grossing movie. The reason for the enormous financial success of Grease was obvious once I found that it was based on a parallel story structure. The story for Skwad has been created using my billion dollar grossing movie creation model. It has key elements from the movies Grease, Rocky, Pretty Woman, American Graffiti, Animal House, American Pie, the Twilight franchise and the Hunger Games franchise. The following document explains some of the basic story elements that have been taken from these movies and incorporated into Skwad. 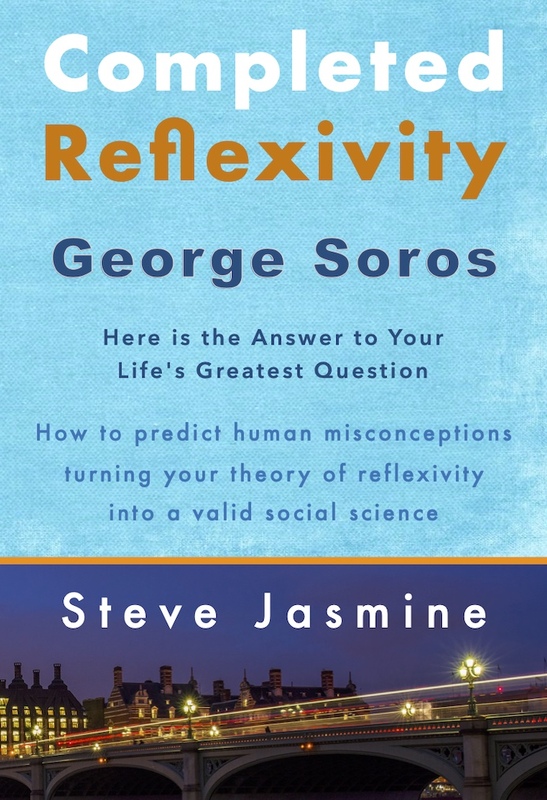 I am an expert on the theory of reflexivity as developed by George Soros. I am also an expert on the causes of billion dollar grossing movie box office success. I consult to Corporate CEO's on business success, through advanced reward risk analysis, human behavior management, and building lasting self supporting positive reflexivity business cycles. I advise Movie Investors on how to maximize the profitability of their movie investments. I never discuss my previous or existing clients and I do not provide work references. New clients trial my work by hiring me for shorter periods, then engage me for longer durations when they see the quality and value of my work. I work out of your offices in the USA, EU and UK. My hourly rate is $€£ 3,690 (plus tax), paid in advance, for a minimum of 18 hours. I charge a relocation fee of 18 hours when moving countries. I charge an additional relocation fee of 36 hours when moving continents. I do not accept unsolicited creative material. Any original creative material emailed to me will be immediately deleted and purged from my email server without being reviewed.